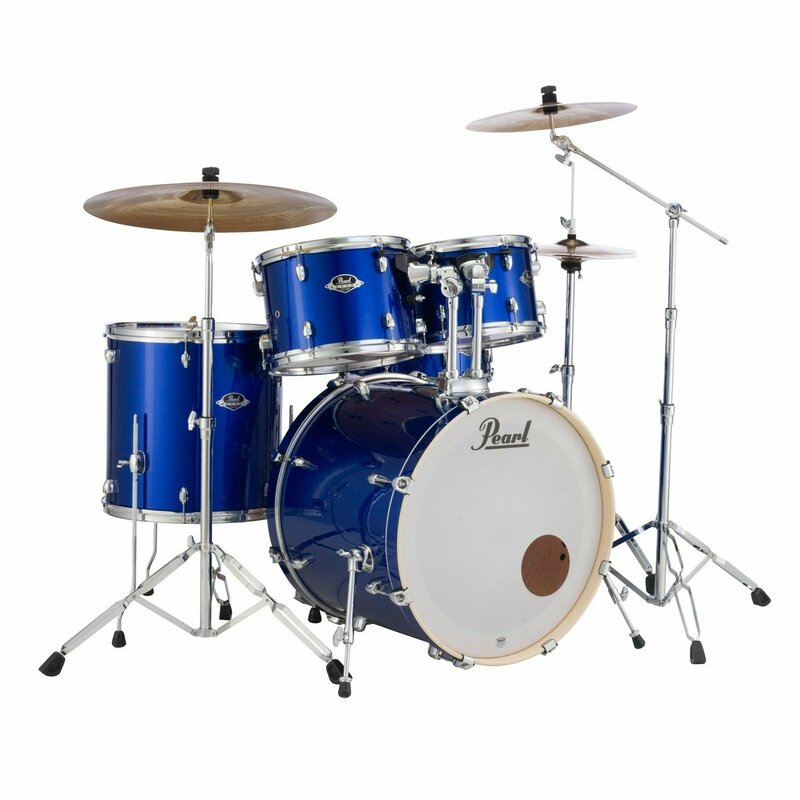 The Pearl EXX Export Series is the best selling drumset of all time and a name every drummer knows. The value and quality of the Export series has inspired thousands of musicians by providing solid shells, highly sophisticated hardware, lugs and mounting systems, all of which combine to deliver an amazing sound with fantastic build quality at an affordable price. The EXX Export Series now incorporates Pearl’s Superior Shell Technology – SST, taking cues from the award-winning Reference Series, the new Export puts sound first by blending premium Poplar and rich Asian Mahogany for an incredibly lush and full-bodied tone. A sonically advanced recipe of strategically arranged piles of premium wood, chosen for their unique acoustic attributes, maximises the frequency response of every component. Formed using extreme heat, precision-cut scarf joints for a perfect air-tight fit, proprietary Acoustiglue and over 1000lbs of hydraulic pressure to create the ultimate acoustic air chamber. 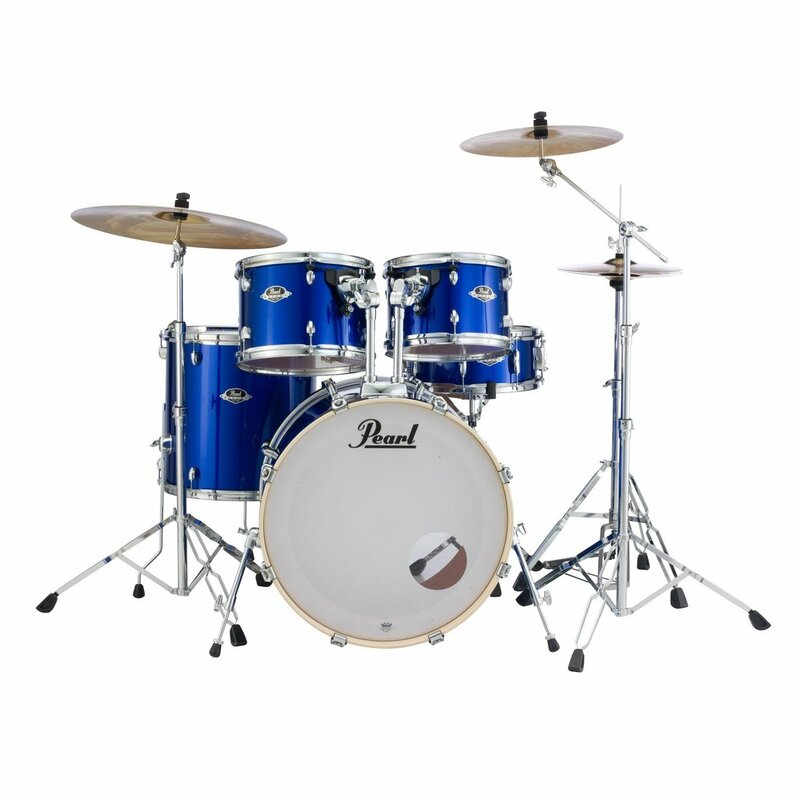 The Export Series features specifically designed, sound enhancing lugs that further emphasises Pearl’s ”sound first” philosophy. Designed for minimal shell interaction, they have a small footprint and low-mass for maximum resonance and sustain. Their bold look is modern but with a nod to lugs from Pearl’s past. The Export Series rack toms are equipped with Pearl’s new Opti-Loc Mounting System that features a triangular design with two tension rod attachment points and another through one of the drum’s two air vents. Rubber isolators at all connection points allow the drums to vibrate freely for maximum sustain and resonance while providing absolute and wobble-free performance. A set of 830 Series hardware is included with the EXX Export Series, without a doubt some of the most sophisticated hardware ever to be offered on a drum kit at this price. The BC-830 Boom stand, C-830 Cymbal stand, and S-830 Snare Drum stand all feature infinitely adjustable Uni-Lock Tilters for pinpoint positioning. Robust 1in diameter base tubes and 7/8in diameter center tubes with sturdy double-braced tripods provide exceptional rigidity and stability. 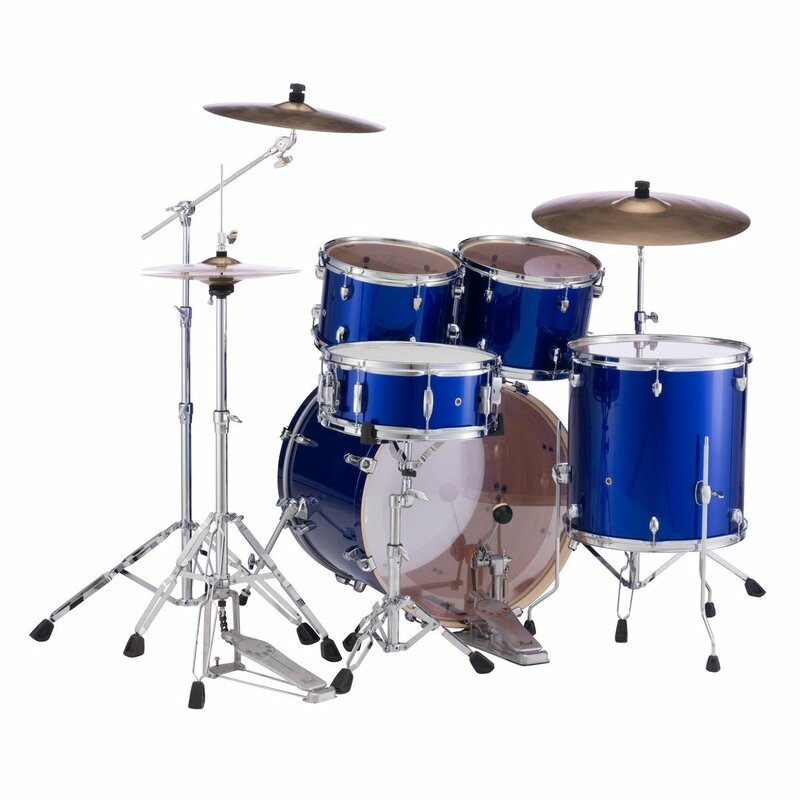 The H-830 Hi-Hat stand features swivel legs that accommodate double pedals. A P-930 drum pedal is included which combines the styling and performance of the Demon Drive pedal with the Eliminator interchangeable cam technology for the ultimate in power, speed, and control. The Sabian SBR Performance Set contains 14in Hi-Hats, a 16in Crash and a 20in Ride cymbal. Both cymbals feature a hammered and lathed surface with tightly focused sounds of pure brass. These cymbals are ideal as a first step into the cymbal world at an affordable price, their looks and sounds put them in a class of its own.